The River to River Festival is “28 days of transformative, investigative art in unexpected places across Lower Manhattan”. 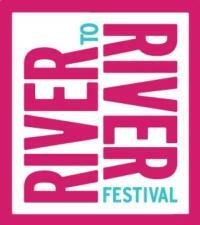 JG Thirlwell will appear in two special events at the River to River Festival in New York this June. Firstly, on June 23, JG Thirlwell’s Manorexia will appear in concert at Michael Schimmel Center for the Arts at Pace University on a bill with Pauline Oliveros and Susie Ibarra & Roberto Rodriguez. During the evening, Manorexia will perform pieces from the Manorexia oeuvre including the premiere of a new arrangement of Plastic Island In The Pacific. This event is presented by New York Electronic Art Festival (NYEAF) and Harvestworks. Secondly on July 11 the organization ((audience)) presents Manorexia: Dinoflagellate Blooms in glorious 5.1 sound at Tribeca Cinemas. RSVP is required for this event. Also appearing at the festival will be So Percussion, Two-Headed Calf & Yarn/Wire, Laurie Anderson, Bang On A Can, Hauschka, Kosminen, and Zeigler, Lar Lubovitch Dance Company, Maja S.K. Ratkje, Mantra Percussion, Paola Prestini and much more.